Our most popular dreadlocks accessory! Our most popular dreadlocks accessory! Metal Dread Cuffs are easy to fit and can be pulled open to fit almost any size dreads. Not only do they look great by they are functional too - perfect for hiding any lumps, bumps or loops. 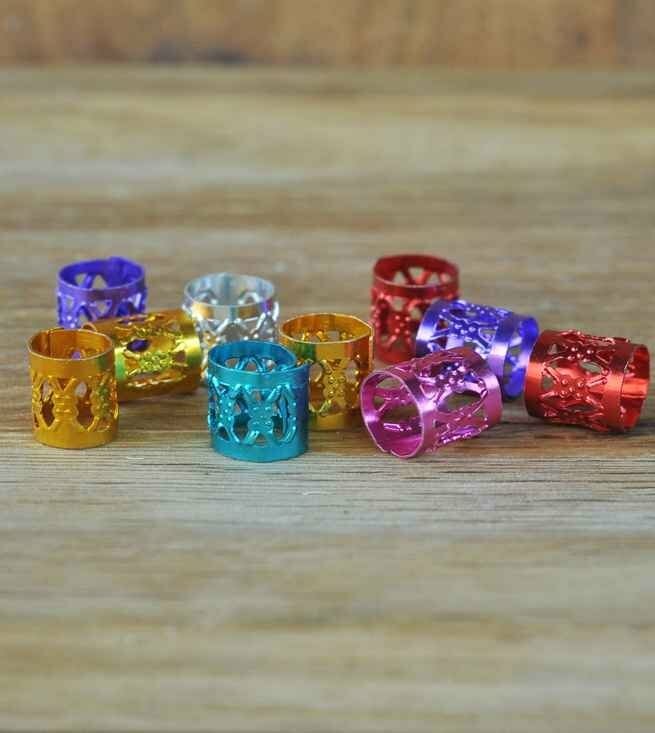 This listing is for 10 x randomly selected coloured cuffs. If you have a colour preference please include a comment on your order. **please treat cuffs as you would costume jewellery, it is best to remove before exposing them to water, salt water and salt based products to avoid them tarnishing or rusting.